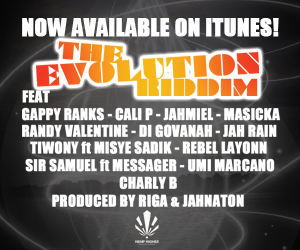 We will repeat it over and over again: This year Cali P is definitely UNSTOPPABLE! 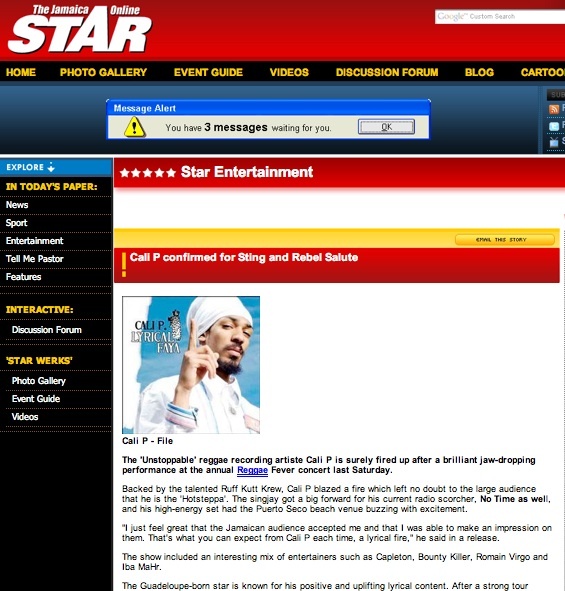 After just tearing down the stage at REGGAE FEVER 2011 alongside Bounty Killa, Romain Virgo, Capleton, etc… He Has confirmed his presence at 2 of the most famous shows on earth (when it comes to reggae music): Sting and Rebel Salute… Here are a few articles which cover the story. 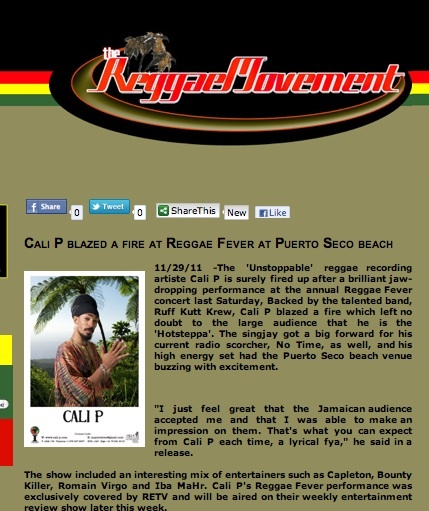 Cali P is #Unstoppable! 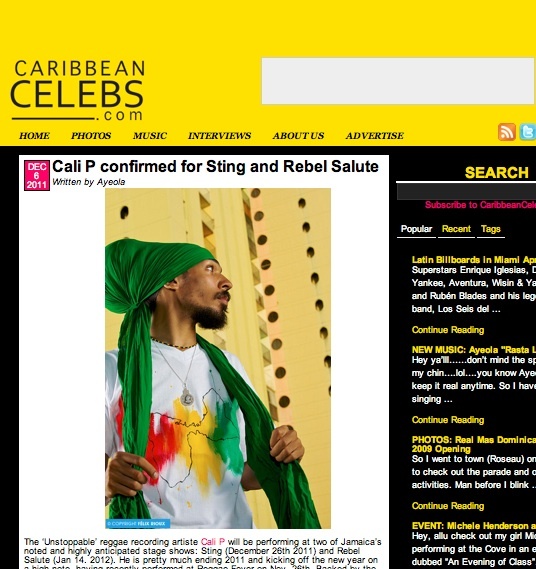 Having just confirmed his presence at the world renowned Sting Show later this year, he will also be performing at the well known Reggae Fever Show In Jamaica this weekend on the 26th November! Check out the ad. 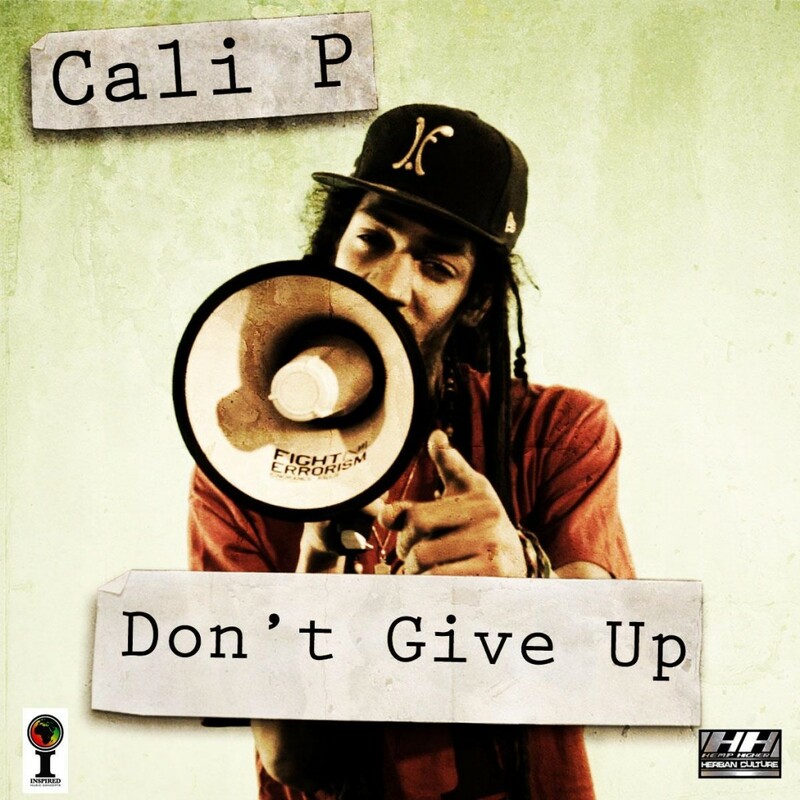 Today is a special day for all Cali P fans! 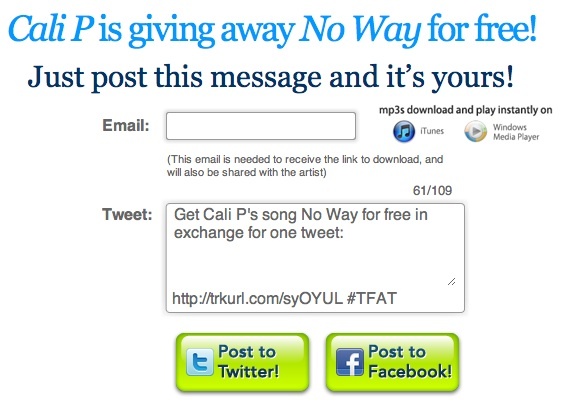 we will be giving away a FREE single from the #Unstoppable album: “NO WAY”. 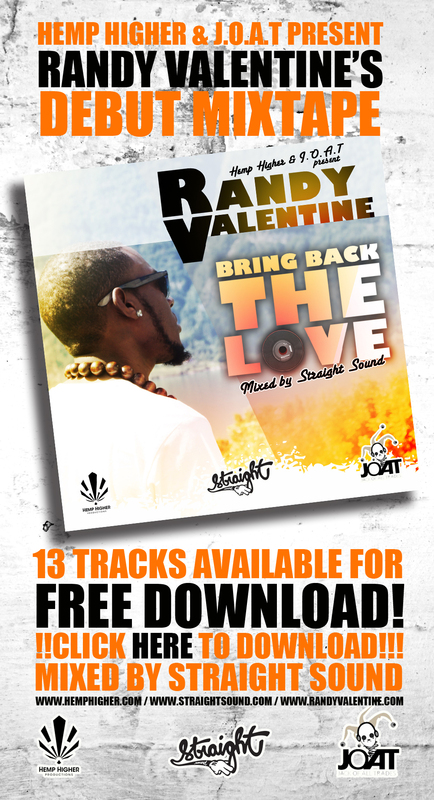 Click on the link to enter your email adress to get a free copy of the track in exchange for a tweet! 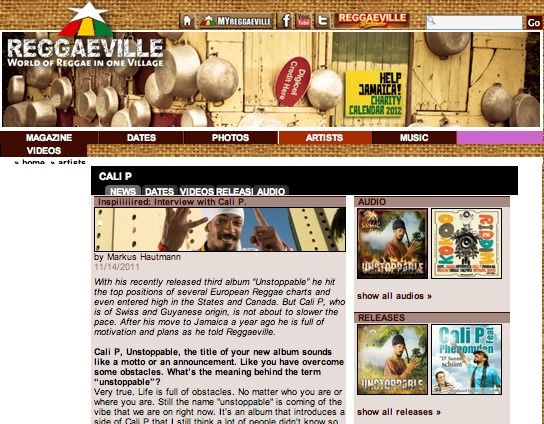 A little while ago Cali P met up with journalists from the renowned german reggaeville website. 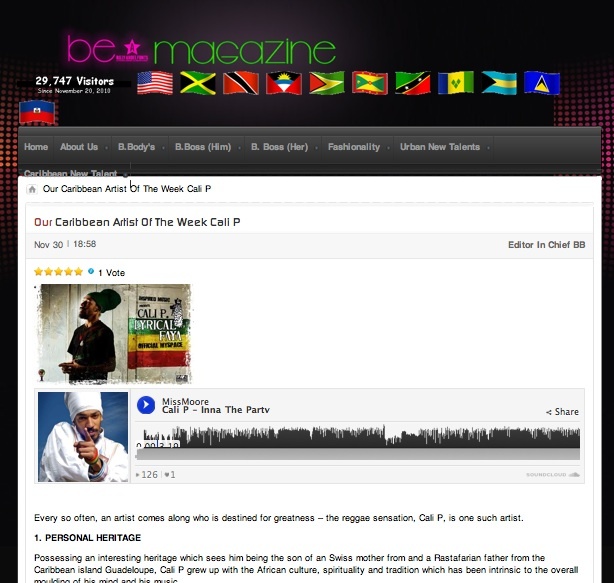 Here is the Interview.